Each night in the United States, an estimated 600,000 people live on the streets. 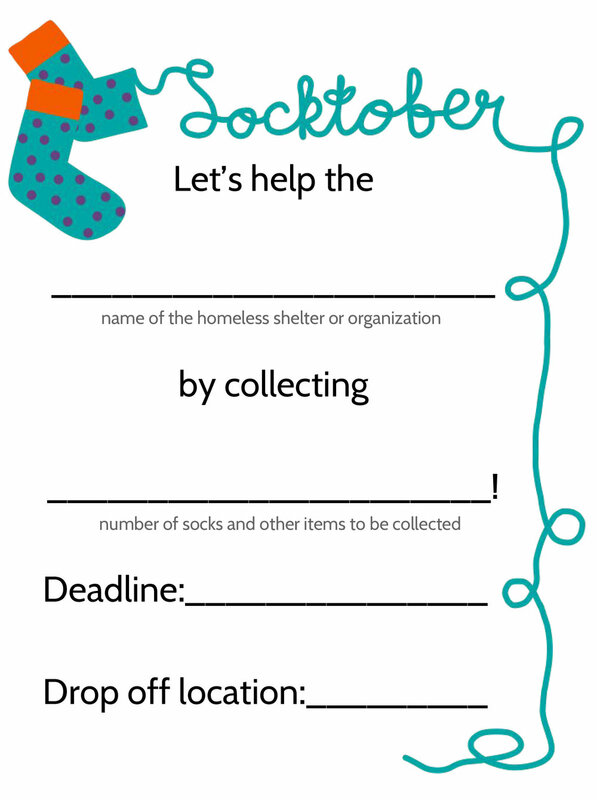 This October, we want 2 million people to show that even a small act of love, such as donating a pair of socks, can make a big difference in the lives of our neighbors who are homeless. 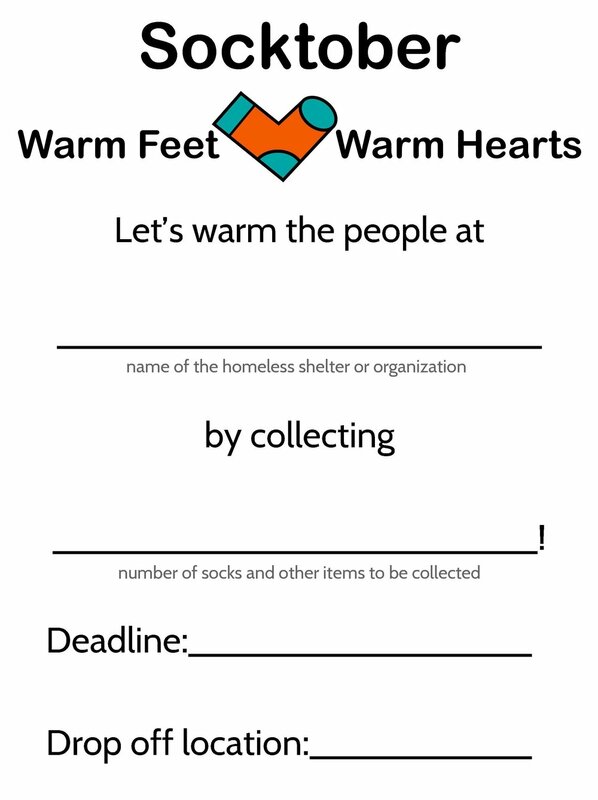 Support your local shelter as they prepare for winter! 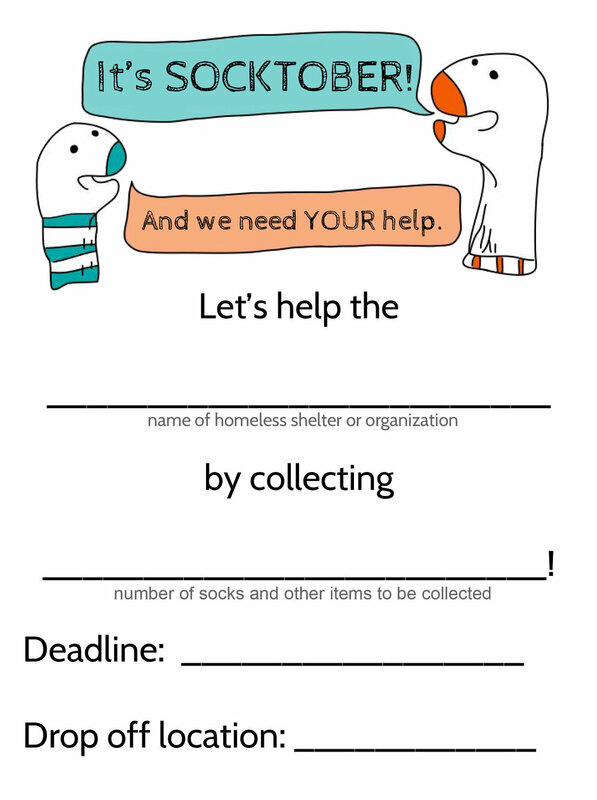 Help us support people in places outside of your immediate community by collecting and donating to Undies for Everyone! 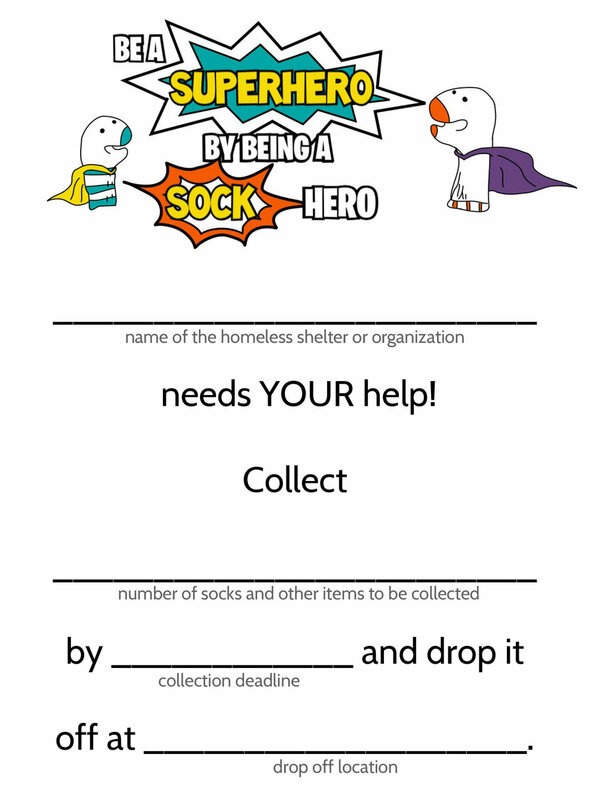 Print and add information about your community's sock drive to the flyers below (or make your own) to spread the word about your Socktober event! 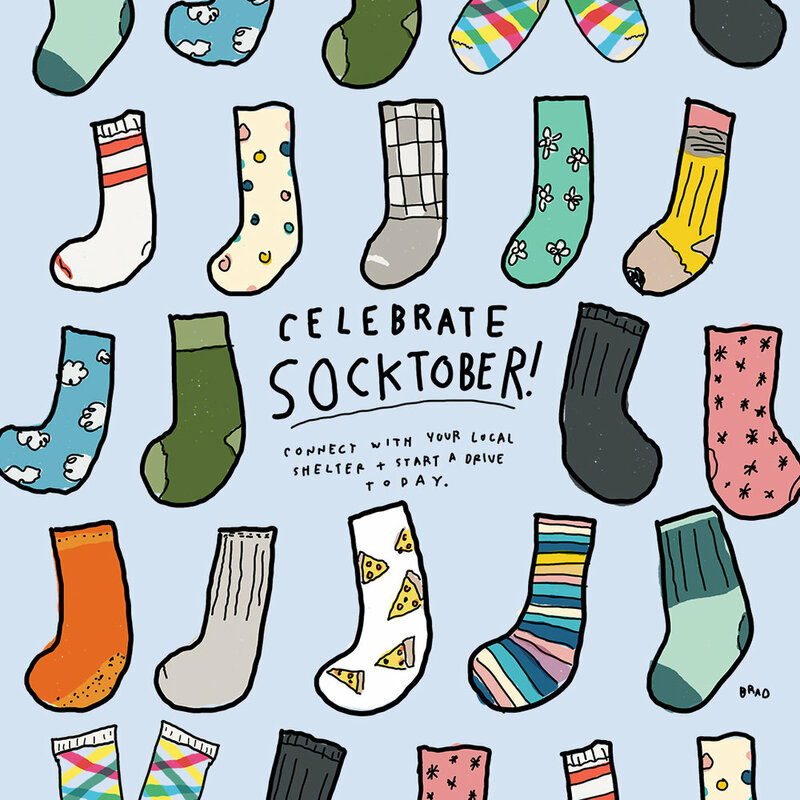 a project we can all do together.